MARION, Ind. (October 25, 2017)– Ava Zinn/Aeverine Zinn Holdings announced Wednesday that yours truly, Ava Zinn, is exploring the potential employment at Cafe Valley’s Marion, Indiana location as well as a comprehensive, long-term retail agreement that will potentially gives Aeverine Zinn Holdings to sell Cafe Valley’s products at the proposed vape shop and vegetarian buffet also to be located in Marion, Indiana. The founder, webmaster, and owner (yours truly) of Aeverine Zinn Holdings said, “The decision to explore my potential employment at Cafe Valley and the rights to sell their products at the potential vape shop/vegetarian buffet is a result of the ongoing analysis of Aeverine Zinn Holdings’ portfolio. Any employment, retail rights to carry the product, or sales would enable yours truly and Aeverine Zinn Holdings to use the proceeds to reduce debt, strengthen the balance sheets of mine and Aeverine Zinn Holdings and help position both yours truly to pursue future growth opportunities. “This potential comprehensive agreement will enable the strong partnership with Cafe Valley and will allows the vape shop/vegetarian buffet hybrid to provide an array of outstanding bakery products, in addition to the vaping products and accessories and fresh food for the vegetarian buffet to be owned and operated by Aeverine Zinn Holdings,” said Ms. Zinn. “Through the potential Cafe Valley agreement, I look forward to significantly enhancing our product offerings and commitment to the communities of Marion and Fort Wayne, Indiana. “I believe I will be viewed as a welcome additions to the Cafe Valley Team as well as an addition to the Aeverine ZInn Holdings’ proposed Vape Shop and Vegetarian Buffet,” Zinn added. Ava Zinn/Aeverine ZInn Holdings said that there can be no assurance that any transaction and/or employment will take place. Additional information will be provided when and if the company enters into a transaction. With the potential employment with Cafe Valley, Ava Zinn will become one of the few transgender women (if not the first M2F) to be employed at Cafe Valley’s Marion, Indiana location and Aeverine ZInn Holdings becoming the newest seller of Cafe Valley products sold at the proposed Vape Shop and Vegetarian Buffet in Marion, Indiana. Chicagoan by birth (as a boy), Ava Zinn was brought up in Van Buren, Indiana. With an psychological/mental injury prematurely putting an end to any hopes of a promising career in special education, she went back to business to complete a course in housing and media production management. Her dedication and natural talent led her to train with some of the Indianapolis and Fort Wayne’s leading personalities. In 1993, at the age of 10, Zinn set up her first wholly owned loyalty program with her namesake Santa Ava Zinn (then Santa Franky Zinn), which quickly received the most prestigious accolade in the gift retail industry. In 2005 Ava became executive of NoSirGifts in Marion, IN. Within three years, was awarded four stars status. In 1999, at the age of 16, Zinn set up her first wholly owned namesake, Aeverine Zinn Holdings, which quickly received the most prestigious accolade in the media production world – five stars. Ava has also become a star of the internet both in the Hoosier state and in the U.S., as well as in the U.K, with the top-rated YouTube channels: Both the American and British versions of VOTE FOR THE GIRLS and AvaZinn.com. .
Café Valley manufacture the most delectable Croissants, Muffins, Bundt Cakes, Ring Cakes, Loaf Cakes, Danish and Turnovers, plus our signature Café Bites. All of Café Valley’s products are fully finished and shipped directly to customer’s warehouses resulting in the finest ready-to-eat products available in a grocery store, club store or favorite restaurant today. 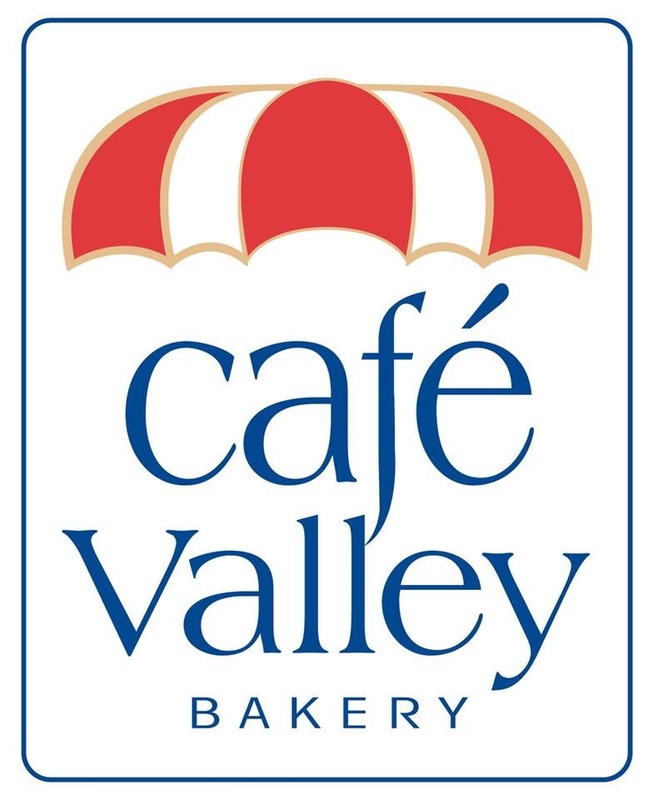 Café Valley’s customer list is a Who’s Who in the grocery retailing industry with delicious baked goods are designed to complement every bakery’s existing core items and add new excitement, profitability and growth to a bakery category.